On May 30th, New Hampshire Governor Chris Sununu signed SB 170, a bill local community leaders had watched for more than a year. The measure will allow municipalities to bond for publicly owned Internet network infrastructure. Advocates, local elected officials, and citizens have been seeking the authority for years. SB 170 may raise some questions as it's implemented, but the bill is significant because it symbolizes this state's decision to expand local authority for broadband investment, rather than limit the power of local communities. Read the final version of SB 170 here. As we reported more than a year ago, SB 170 sought to make changes in existing law by allowing local communities to bond for Internet infrastructure. The bill sat in committee until last November, when it was amended and picked up again. The final version of SB 170 allows communities to bond for projects that will connect premises that don’t have access to broadband as defined by the FCC — 25 Mbps download and 3 Mbps upload. In addition to small changes that we think will have big impact - like the definition of “broadband” - we discuss the way tones are shifting. In a few places, like Colorado, state leaders are fed up with inaction or obstruction from the big ISPs that use the law to solidify their monopoly power rather than bring high-quality connectivity to citizens. Other states, like New Hampshire and Washington, recognize that local communities have the ability to improve their situation and are taking measured steps to reduce barriers to broadband deployment. Lawmakers in Ohio are slowly advancing a proposal to help fund rural broadband deployment. HB 378 has similarities to Minnesota’s Border-to-Border Broadband Program and will infuse $100 million in to broadband deployment ecosystem over the next two years. It’s a welcome lift for rural areas struggling to fend off economic dilemmas. Last fall, State Senators Cliff Hite and Joe Schiavoni announced their intention to introduce a bill with the same effect. HB 378, however, appeared to pick up steam in March and, after strong bipartisan support in committee and on the floor of the House, the bill went on to the Senate on April 12th. Democrat Ryan Smith and Republican Jack Cera introduced HB 378 with an eye toward economic development in their districts and other rural areas of the state facing the need to diversify their local economies. In March, Washington state legislators passed HB 2664 and sent it on to Governor Jay Inslee, who signed the bill on March 22nd. In the Port of Ridgefield, where the community has been developing plans for a dark fiber network, the community had advocated for the change. Now that the law will be changing for the better, they’re ready to pursue the partnerships they need to spur economic development and improve connectivity for residents and businesses. Back in 2016, we reported how town officials from the Port of Ridgefield had already started setting aside funds to invest in a 42-mile dark fiber loop. The quality of residential and business Internet access options in the community depended on where a premise was located. The community’s Vice President of Innovation Nelson Holmberg described connectivity in the Port of Ridgefield as a “mixed bag”. The port already had some fiber in place, as many do for communications between facilities and other uses, and port officials wanted to integrate those assets into the design of the new infrastructure. At the time, state law would only allow "rural" ports to use their fiber in any partnership agreements designed to offer connectivity to people or entities outside of the port districts. The Port of Ridgefield did not qualify as "rural". After advocacy from officials from the Port of Ridgefield and other ports around the state, legislators passed HB 2664, which amends the law to remove the restriction. All ports will soon be able to enter into wholesale arrangements with ISPs interested in leasing dark fiber to offer telecommunications services to the public. A bill making its way through the Colorado General Assembly is tackling one of the tools that big incumbent ISPs use to secure their positions as monopoly Internet access providers - the right of first refusal. If HB 1099 passes, and other states see the savvy behind this approach, community leaders and advocates for a competitive broadband market will be able to put a chink in the monopoly armor. Update: HB 1099 passed the Legislature and the Governor signed the bill into law on April 2nd, 2018. Yay! ISP entrepreneurs, cooperatives that want to offer high-quality Internet access, and entities planning publicly owned projects know the story. Grants are available, usually for an unserved or underserved area that the incumbent DSL provider has ignored. Said entity invests the time and money into developing a plan and applying for the grant, feeling good about the fact that they will likely be able to serve this community that no one else seems to want to serve. They apply for the grant, may even receive a preliminary approval, BUT then the incumbent ISP exercises its right of first refusal, which throws a very big wrench into the plans of the ISP entrepreneur, cooperative, or entity. In June 2017, we interviewed Doug Seacat from Clearnetworx and Deeply Digital in Colorado who told us the story of how his company had applied for and won grant funding through the Colorado Broadband Fund to develop fiber Internet network infrastructure near Ridgway. CenturyLink exercised its right of first refusal, which meant that unless Seacat could change the mind of the board that considered the appeal, CenturyLink would get the funding rather than Clearnetworx. 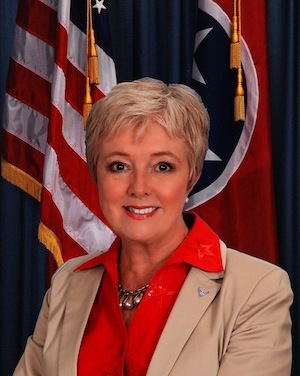 Senator Janice Bowling has long been a champion for rural broadband in Tennessee. On March 6th, her bill SB 1045 came before the Tennessee Senate Commerce and Labor Committee and the members chose not to advance the bill. Once again, big telephone and cable company interests win out over the needs of rural Tennesseans. Sen. Bowling presented information about the bill at a February 27th meeting of the committee. She introduced SB 1045 last year and it was added and removed from committee hearing schedules several times; HB 1410, the companion House bill from Rep. Weaver, encountered similar treatment. SB 1045 would allow municipal networks and cooperatives to provide broadband service beyond their service areas. Communities that don’t have municipal networks, will regain local authority to invest in Internet infrastructure. In her February 27th presentation, Sen. Bowling described how rural areas in the state are crippled in various ways by the lack of high-quality connectivity. She provided a map that visualizes the disparities between rural areas, communities with fiber optic networks, and urban areas. In rural Tennessee, if we have what is called an industrial park, and we have electricity…you have running water, you have some paved roads, but if you do not have access to fiber at this point, what you have is an electrified cow pasture with running water and walking trails. It is not an industrial park. PUDs in Washington have been developing fiber optic networks as open access infrastructure for decades. Even though ports have the same authorization to develop broadband infrastructure, their authority is limited. Currently, a port may operate telecommunications facilities for its own uses within and beyond its district, but can only provide wholesale services within the districts. A bill in the legislature would remove the ports' geographic limits and expand their authority, but amendments to the bill might cut into the measure's effectiveness. HB 2664, which has worked its way through the state legislature aims to change the current situation by expanding a port’s ability to offer wholesale services outside of its district. The goal is to allow a port to use its infrastructure to partner with a private sector ISP to bring better connectivity to residents, businesses, and other entities in the areas around the port’s district. HB 2664, which passed the House on February 14th, went on to the Senate and passed there, but was amended to require a project to focus on unserved and underserved areas. In places like Bellingham, where a city has grown up around the port and beyond its boundaries, the community could work with the port to make use of its fiber infrastructure to develop better connectivity for economic development, public savings, and better services for schools and libraries. A restriction forcing the port to prioritize on unserved and underserved communities, however, might thwart a project where DSL or cable now serves the community, even though the service is far below what the FCC considers broadband, expensive, or limited to spotty areas in town. Another amendment requires that any ports that decide to start using their infrastructure for wholesale service must first establish a business plan and have it reviewed by an independent third party consultant. Recommendations and adjustments associated with the review must all occur transparently. Often private sector partners shy away from working with the public sector when state laws put them in such a potentially vulnerable position. HB 2664 started off as a promising piece of legislation but amendments may considerably limit its effectiveness. If this merger is approved, I have little doubt that Comcast-NBCU will retain hundreds of attorneys and lobbyists to exploit gaps and loopholes in any conditions and regulations. Once we allow companies to become this powerful, the FCC does not regulate them. They regulate the FCC.